The Bryn Athyn Church School offers a high-quality education for children from Kindergarten through Eighth Grade. Its mission is to help prepare them to be useful citizens of this world and to instill in them the values and habits needed by members of the Lord’s heavenly kingdom. 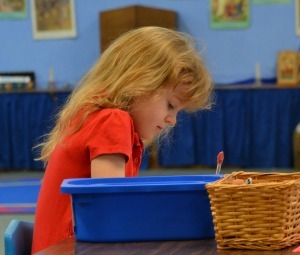 To do this, the school educates children in the light of the teachings of the New Church. Religion is integrated into every aspect of the school’s life through both direct and indirect instruction. Students attend daily worship services and study religion in the classroom. Love to the Lord and toward the neighbor are the highest values taught, together with obedience to the Ten Commandments and a life of useful service to others. Parents who are sincerely interested in and affirmative to what the New Church teaches are invited to consider Bryn Athyn Church School for their children.